The SpringHill Suites by Marriott San Antonio Alamo Plaza / Convention Center hotel is located next to the historic Alamo and is only two blocks away from the San Antonio River Walk. With spacious suites that have separated living and sleeping areas, roomy spa-like baths, innovative network zones, and outdoor space the SpringHill Suites has stylish and useful spaces for all guests needs. The SpringHill Suites by Marriott offers complimentary hot breakfast daily, offering healthful and indulgent choices such as fresh strawberries, cold cuts, cheeses and even fresh baby spinach. This provides an extra something to enjoy. We also offer complimentary Wi-Fi throughout the hotel, business center, 24/7 Market, on-site fitness center, outdoor heated pool and hot tub. 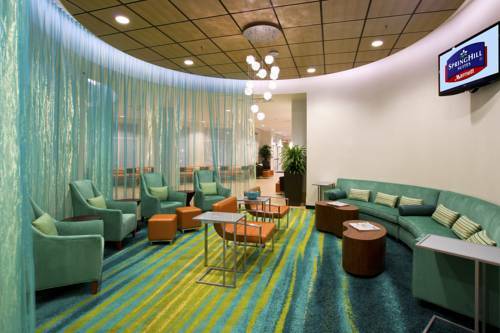 SpringHill Suites is a fresh and lively take on mixing business and pleasure, because its all about getting a bit more to simply savor your time away.